The University Support and Workforce Development Program (USWDP) – funded by USAID and implemented by FHI 360 – aims to bridge the gap between universities and the needs of the labor market. The in-person soft skills courses created through the program are oversubscribed. To meet student demand, FHI 360 decided to transition to a blended model with students completing mobile course modules on their phones before attending in-person classes. 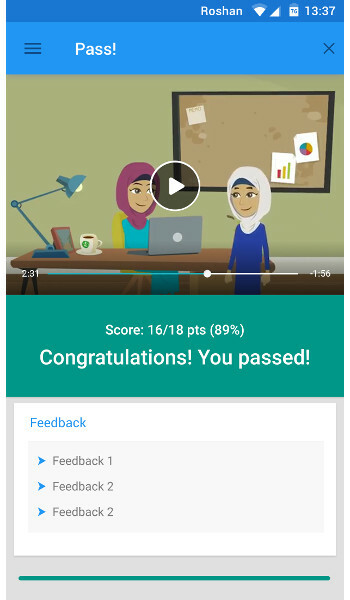 Ustad Mobile has created an open source app called ‘Mobile Soft Skills Training’ which enables students to experience interactive video-based simulations that work on smartphones and feature phones. 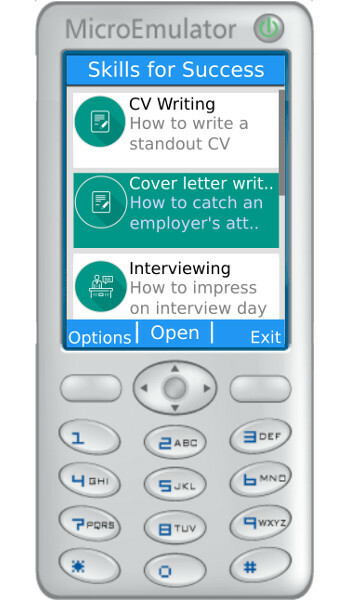 The app content is based on the existing in-person soft skills course materials and contains four pre-employability modules (CV writing, cover letter writing, job search skills and job interview skills) and five post-employability modules (communication skills, workplace values and ethics, time management, report writing and entrepreneurship). Each module contains a short introductory video which explains the learning objectives and relevance of the module to the students. Summative and formative assessments are conducted on a rotating basis as the learners progress through the modules choosing how to respond to simulated situations. 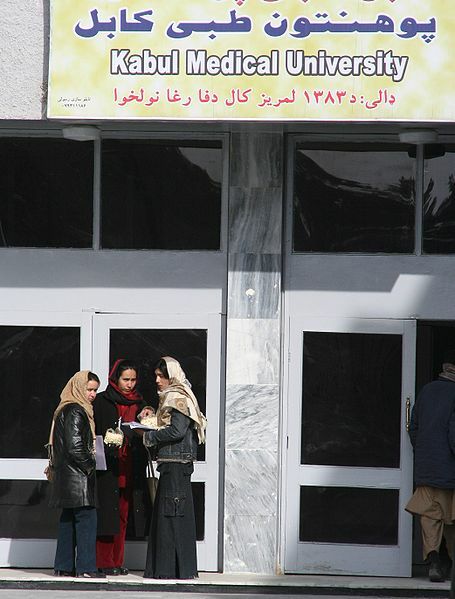 Afghanistan is an ethnically and linguistically diverse country and this is reflected in the module content. All modules are available in Dari, Pashto, and English. We anticipate that some students may be preparing for interviews in English and choose to complete the modules in English irrespective of their native language. Actors and actresses of different ethnicities were cast by DNA Media Productions Ltd. to provide positive role models for all Afghan students. 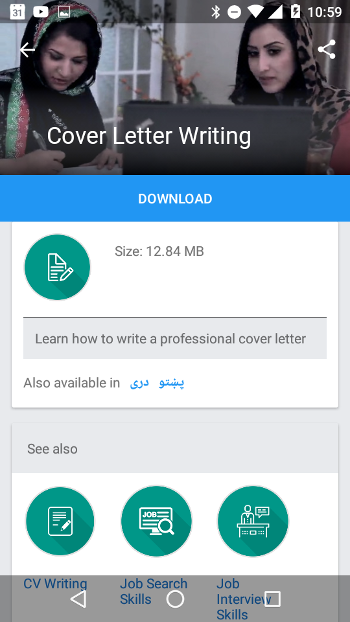 The app enables the use of text, images, audio and video without requiring any connectivity. Usage data – such as time spent on each module and quiz scores – is logged to devices offline and automatically uploaded securely to a cloud server when a connection is available. An in-app peer-to-peer feature enables wireless offline sharing with nearby devices at high speed. A pilot was conducted to ensure the app is easy to use for students and USWDP staff who assist students in installing the app on their devices. 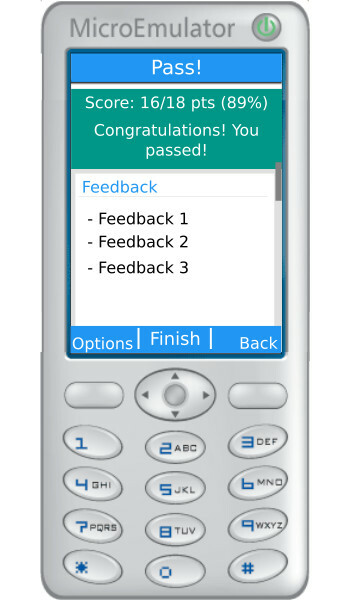 Feedback was solicited from both male and female students to be certain that the app serves both genders equally well. The pilot evaluation found that student outcomes increased from an average of 32/100 prior to using the app to 71/100 after using the app. There are no excess equipment costs as the students complete the modules on the devices that they already own. 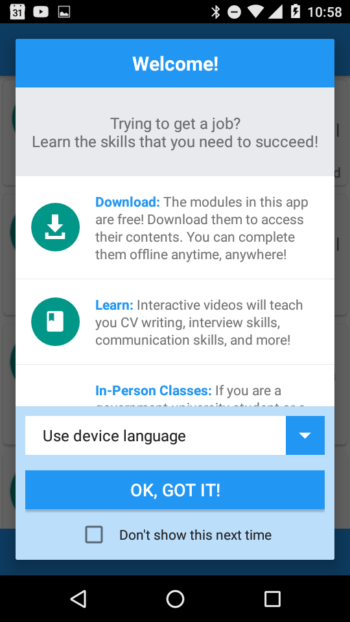 While the mobile modules serve as a passport to attending USWDP classes for eligible university students and recent graduates, Mobile Soft Skills Training is freely available to download via the Google Play Store and the Ustad Mobile website. Going to the Global Youth Economic Opportunities Summit? See Steven Ehrenberg (Associate Director for Learning and Technology, FHI 360) speak about how the University Support and Workforce Development Program is using mobile technology to increase access without compromising learning outcomes on September 27th at 2:20 pm. This post was co-authored by Steven Ehrenberg, Mike Dawson and Benita Rowe. Many thanks to Abdul Basir Quraishi, Gul Mohammad Hamad, Afifa Qurieshi Shams, and Abdul Malik Wafa from USWDP and the USWDP Translation Department, to Mohammad Atif for his translation and voice-over services, to Shoaib Shirzai for his translation services, to Varuna Singh for his work on the reporting system, to Lukundo Kileha for his work on the offline peer-to-peer functionality, to Mohammad Zeytter and the cast and crew from DNA Media Productions Ltd. for filming the video simulation, and the USWDP staff and students for their feedback on the UX. Today there are still more than 4 million Afghan refugees outside of Afghanistan and over 1.5 million internally displaced persons within Afghanistan. Afghanistan has seen over 15 years of solid progress; GDP production is more than 4.5 times larger than it was in 2001 and school enrollment has increased from less than 1 million to over 9 million children. Yet 40% of those who want a job remain unemployed. 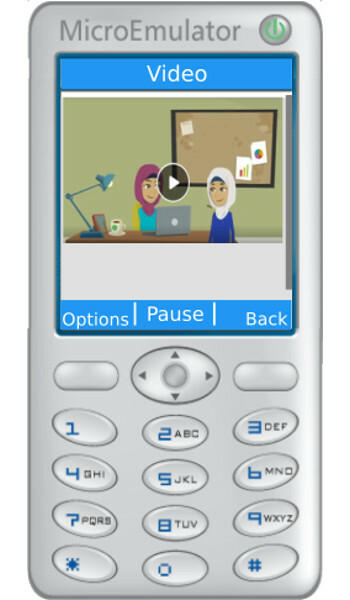 Ustad Mobile is thrilled that USWDP chose us to create an open source application which will enable students to experience interactive video-based simulations that work on smartphones and feature phones. When Ustad Mobile conducted focus groups with university students in Kabul (December 2016) between 30% and 50% did not own smartphones. 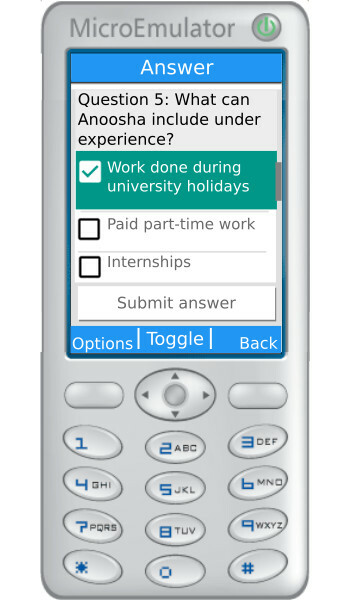 It is therefore essential to support feature phones to avoid further disadvantaging lower income students. 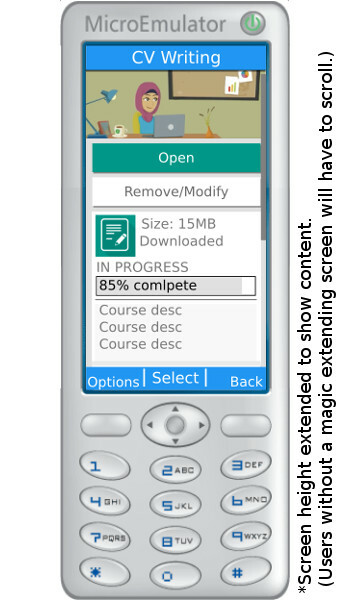 As less than 20% of the students had their own mobile data packs, the app must also function offline. Using video in the mobile application will enhance the learning experience but technical considerations are important to avoid relying on expensive and unreliable internet services. Our architecture enables the use of text, images, audio and video without requiring any connectivity. Usage data – such as time spent on each module and quiz scores – is logged to the devices offline and automatically uploaded securely to a cloud server when a connection is available. A built-in peer-to-peer feature enables wireless offline sharing with nearby devices at high speed. Afghanistan is an ethnically and linguistically diverse country. It is therefore critical that the module content reflects this. 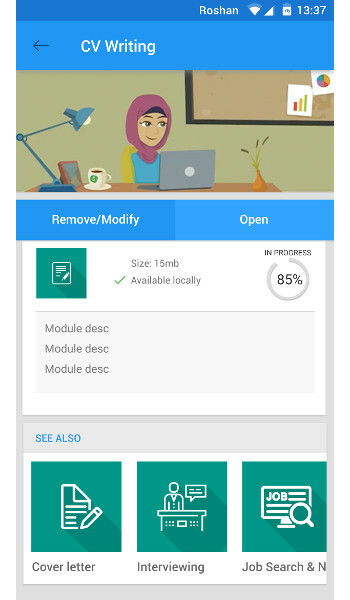 For this reason, the modules will be available in Dari, Pashto, and English. We anticipate that some students may be preparing for interviews in English and choose to complete the modules in English irrespective of their native language. 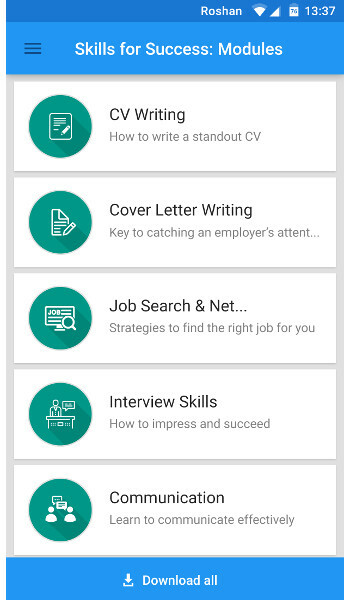 Early user trials will be conducted to ensure the application is easy to use for students and USWDP staff who will be helping students to install the application on their devices. We are soliciting feedback from both male and female students to be certain that the app serves both genders equally well. Our media partner DNA Media Productions Ltd. have cast both men and women of different ethnicities to provide positive role models for all Afghan students. 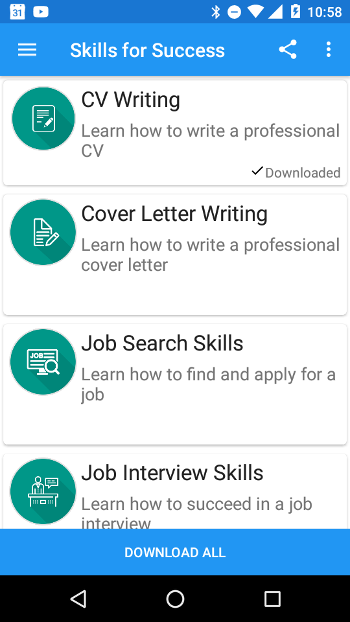 While the mobile modules will serve as a passport to attending USWDP classes for eligible university students and recent graduates, the app and modules will be freely available to download via the Google Play Store and a website. Once the app is downloaded on one phone it can be shared with and downloaded by others without Internet. We believe that the model is applicable to a wide variety of settings to increase access and decrease the costs of serving more students without compromising learning outcomes. * While Hattie collected data which included, but was not limited to influences on achievement in tertiary education, his synthesis of 1200 meta-analyses is the largest collection to date of evidence-based research focusing on factors that influence learning (Hattie, 2015). This post was co-authored by Mike Dawson and Benita Rowe. Hattie, J. (2009). Visible Learning: A Synthesis of Over 800 Meta-Analyses Relating to Achievement (1st ed.). Oxon: Routledge. It’s hip and trendy to declare a project “open source” – it means something about sharing, freely available, can be used by anyone, right? Well most of the time that’s the case – but I’ve seen a definite uptick in false declarations. I’m asked questions about selecting open source software quite a bit – so here’s a guide suitable even for the non-technical folks. If you can’t find that – then someone either has a very badly designed site; or more likely is lying to try and get people to adopt their software. Also check when it was last modified – that is better when it’s recent and frequently updated; but some software which just meets all it’s requirements can hang around for a while without modifications. In this case are normally signs that it’s used by a lot of people – e.g. high download counters, active forums, something like that. It should be possible to try the software out. You should not have to compile source code to use open source software; it should be easy to use and install through an online demo or by installing on your computer/phone etc. If they say something like ’email us’ etc. then it’s obviously not so free and open to be used. Look for a Demo or Download link. No link that you can use – perhaps the software is technically open source but it’s authors obviously don’t really want people to freely use it. Perhaps the website explicitly tells you about who is using it, or perhaps there are active forums. Some new projects might not have that many users. If you’re not sure then post your own question about the state of the community on an email list or forum and see if you get a reply. Some new projects might not have that many users and they might be looking for people to join in; there’s always a risk there though it can be a much lower risk than making something of your own from scratch. Now you should be able to see if the project is really open source; and if you can actually use it. A project that fails the first two tests should be avoided just like a second hand car you’re told works great and has a perfect history and you then find out it’s been almost written off in accidents twice. It’s definitely better to see a wide community of users. If you’re depending on a piece of software you might want to get someone qualified to check into the quality of the project by looking for the testing procedures used etc.